Amman is the capital of The Hashemite Kingdom of Jordan. It is located 24 mi. [38 km.] 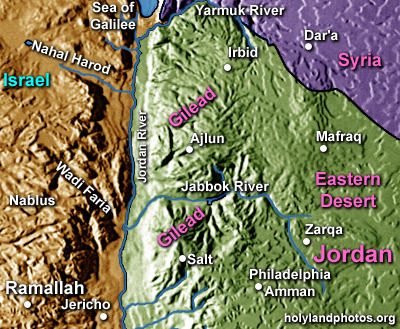 east of the Jordan River on the edge of the Arabian Desert at an elevation of 2460 ft. [750 m.]. It is home to over 1.5 million people. In the Old Testament it was called “Rabbah (of the Ammonites).” In New Testament times it was called Philadelphia and was one of the major cities of the Decapolis. It enjoyed a spurt of building activity after the Roman emperor Trajan annexed the Nabatean Kingdom into the Roman Province of Arabia in A.D. 106.